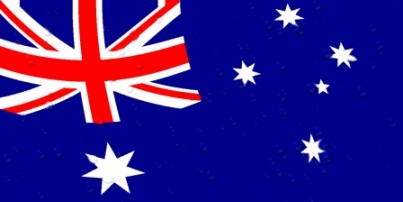 Australia, still finalizing a revamp of its online gambling laws that will soon bring an end to the majority of the online-poker services offered to its players, is also now reported to be considering a nationwide point-of-consumption tax (POC) that could end up raising the overall tax bite taken from the country’s online sports-betting operators. Such a federal-level POC tax would address some of the territorial inequities under current Australian gambling laws, according to the country’s Federal Treasurer, Scott Morrison. Morrison commented on the topic to Aussie political-beat outlets on the POC matter late last week, among several issues currently on the Treasury’s virtual plate. 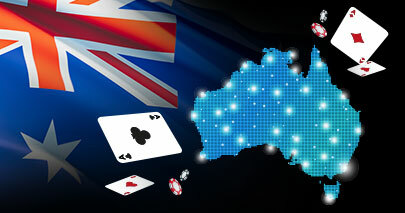 “We were able to agree, subject to state and territory governments’ conferring again with their cabinets — and with the reservation of the Northern Territory — to move forward to prepare a proposal for a nationally consistent approach to (a) point of consumption tax on online gaming,” said Morrison, according to the Australian. “Now this is a very important issue both from a revenue perspective but frankly more important from a social perspective. And we all agreed that it was necessary to work on a nationally consistent approach. Already in South Australia there is legislation that’s dealing with this and so that provides a good starting place to look at models. The mentions of South Australia (pro-POC) and the Northern Territory (definitely anti) and the alignment of Morrison’s office with the pro-POC side is telling. South Australia has already approved a POC tax, with a 15% rate, which goes into effect this summer. In response to that move, several licensed operators have moved or expanded their official headquarters to the Northern Territory, which offers a lower licensing fee and, to date, no POC levy. The move of Australia’s licensed operators to the Northern Territory in search of tax breaks in many ways mirrors the European experience, where dozens of the region’s largest firms relocated to Gibraltar for much the same reason. Yet as the European firms have already learned (and as the Australian-based operations are finding out), such tax loopholes tend to be temporary. Whether or not Morrison’s line about “harm minimalisation” is a frozen buffalo chip isn’t the point. (Hint: It is, and it’s a tasty one.) This one’s all about the money, and Australia’s federal officials appear to mimic the South Australia state-level approach. One can expect that when all is said and done, Australia as a country will enact a 15-20%, nationwide POC tax. This will be done despite a great hue and cry by the country’s officially licensed sports-betting operators. In the past, those operators have raised the specter of a lot of business being siphoned off by unregulated sites, who — according to the argument — can and will be able to offer better lines to punters based on their no-tax overhead. The government’s response to that is likely to be sadly predictable as well. Rather than trim back the expected POC rates, certain factions will likely increase their push for an Australia-wide blacklist. Despite the obvious technical problems and likely fruitlessness of the approach, that’s still an ideal for folks such as Senator Nick Xenophon, who played a prominent role in the pending ban against online poker in the country. Ultimately, all of Australia’s licensed gambling operators are likely to be maneuvered between a rock and a hard price, with the increased tax bite the almost inevitable outcome of this process.